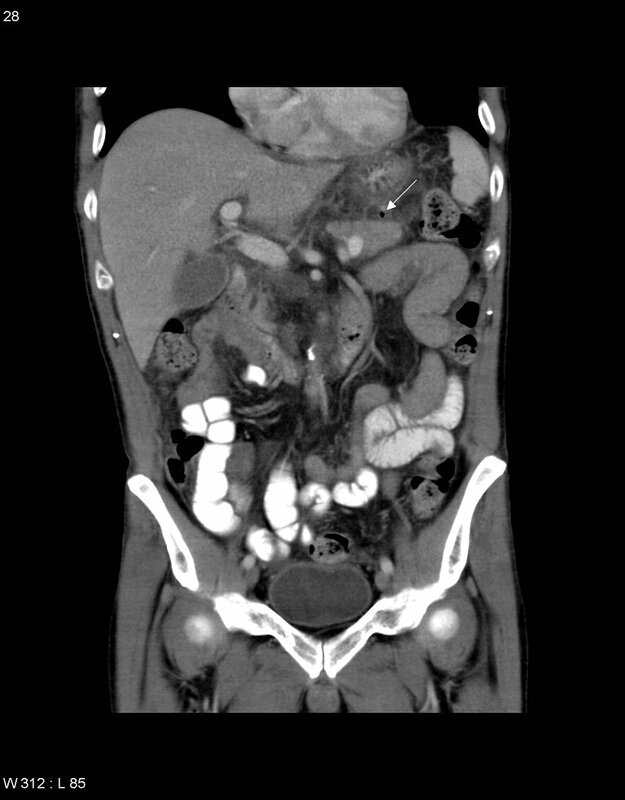 This pathway provides guidance on the use of imaging to investigate adult patients with suspected acute pancreatitis, including confirming the diagnosis, investigating for underlying etiology and assessing for associated complications. 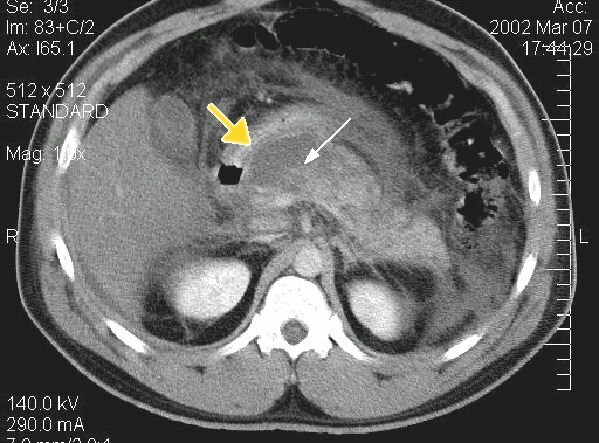 Image 1 (Computed Tomography): Acute necrotising pancreatitis showing pancreatic oedema (yellow arrow) and necrosis (white arrow). 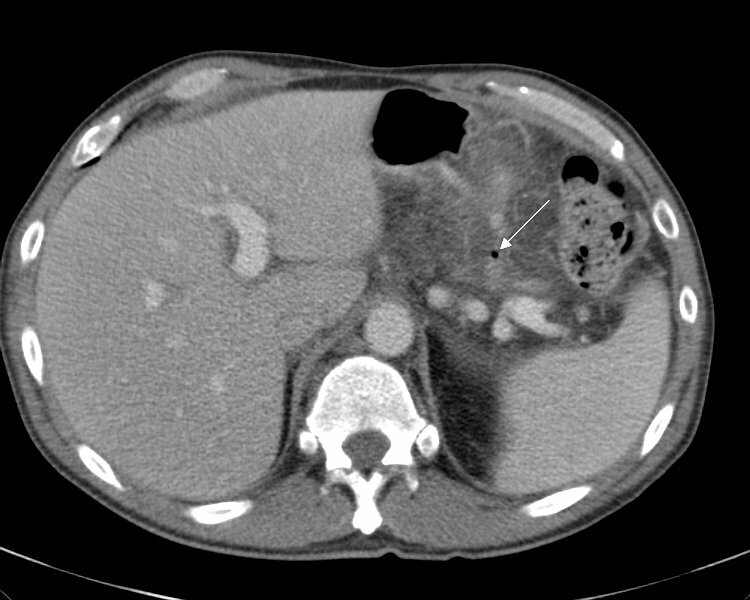 Image 2a and 2b (Computed Tomography): Axial and coronal views showing a bubble of gas (arrow) outside the lumen of the greater curve of the stomach consistent with a perforated gastric ulcer.